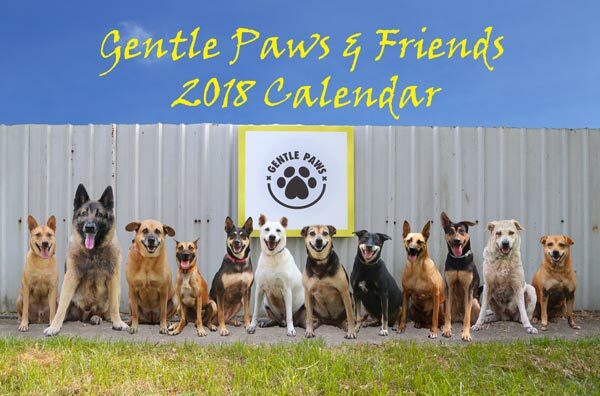 The “Gentle Paws & Friends” 2018 Calendar features the stories of some of the beautiful shelter residents who are awaiting a forever home. 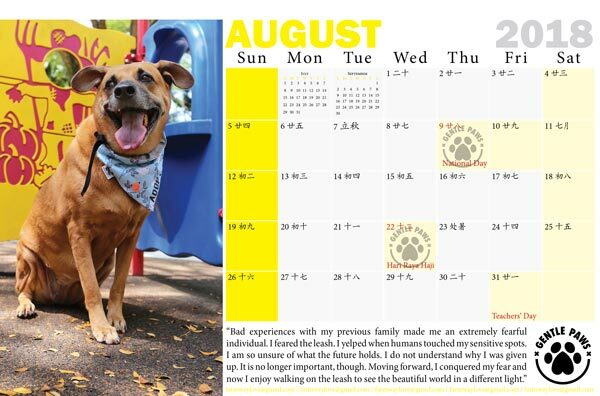 The postage fee within Singapore for each calendar is $1.50, which will be reflected upon checkout. 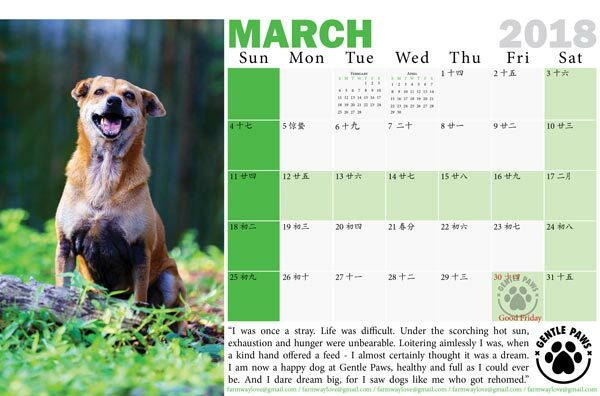 If you purchase 10 or more copies, the lovely people at Gentle Paws will deliver the copies to you (within Singapore) free-of-charge. 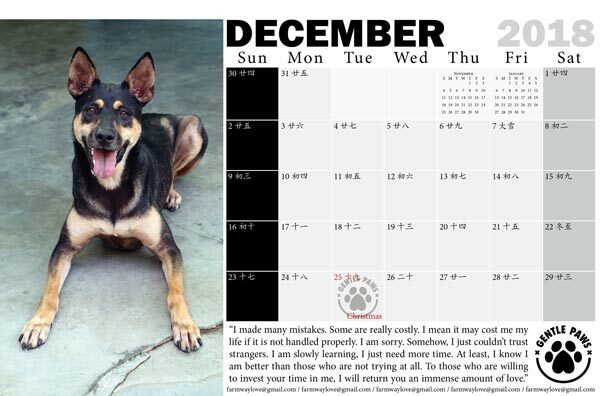 All monies received for the calendar will be transferred to Gentle Paws in full. For other items in our e-store, our regular postage fee will apply.